Theory, broadly speaking, including both the literary and mathematical varieties. A few years ago, I read a paper making a startling argument. Its title was “The Derivative of a Regular Type is its Type of One-Hole Contexts.” I’m not entirely sure how I found it or why I started reading it, but by the time I was halfway though it, I was slapping myself on the forehead: it was so brilliant, and yet so obvious as to be almost trivial — how could nobody have thought of it before? The idea was that if you take an algebraic data type — say something simple like a plain old list — and poke a hole in it, you get a new data type that looks like a derivative of the first data type. That probably sounds very abstract and uninteresting at first, especially if you aren’t very familiar with algebraic data types. But once you understand them, the idea is simple. And I think it has ramifications for people interested in natural language: it tells us something about the relationship between meaning and context. In particular, it could give us a new way to think about how semantic analysis programs like word2vec function: they perform a kind of calculus on language. What’s an Algebraic Data Type? An algebraic data type is really just a regular data type — seen through a particular lens. So it’s worth taking a moment to think through what a regular data type is, even if you’re already familiar with the concept. At this point, you might start to notice a pattern. Using the first way of combining boolean values, every additional bit doubles the number of possible combined values. Using the second way, every additional bit only adds two to the number of possible combined values. This observation is the basis of algebraic type theory. In the language of algebraic data types, the first way of combining bits produces a product type, and the second way of combining bits produces a sum type. To get the number of possible combined values of a product type, you simply multiply together the number of possible values that each component type can take. For two bits, that’s ; for three bits, that’s ; and for bits, that’s . And to get the number of possible combined values of a sum type, you simply add together the number of possible values that each component type can take: , or , or . Pretty much all of the numerical types that a computer stores are product types of bits. For example, a 32-bit integer is just the product type of 32 boolean values. It can represent numbers between and (inclusive), for a total of values. Larger numbers require more binary digits to store. If you’ve done any programming, product types probably look pretty familiar, but sum types might be new to you. If you want to try a language that explicitly includes sum types, take a look at Haskell. The total number of possible values for a variable of this type is . Now that there’s a hole in the first slot, there are only possible values this variable can take. But the hole can only be in one of the slots at any given time. Sound familiar? You could say that this is the “sum type” of each of those one-hole types. Each possible placement of the hole adds to (rather than multiplying) the number of possible values. There are five different places for the hole to go, and for each of those, there are possible values. That’s a total of . Now suppose we make this a little more general, by replacing that with an . This way we can do this same thing with slots of any size — slots that can hold ten values, or 256 values, or 65536 values, or whatever. For the plain list type, that’s a total of possible values. And for the list-with-a-hole, that’s possible values. And now let’s go even further and replace the number of slots with an . That way we can have any number of slots — five, ten, fifty, whatever you like. Now, the plain list has a total of possible values, and the list-with-a-hole has possible values. If you ever took calculus, that probably looks very familiar. It’s just the power rule! This means you can take data types and do calculus with them. What word is likely to be in there? Well, “to” is a good candidate — I’d venture a guess that it was the first word that popped into your mind. But there are other possibilities. “Past” might work. If the n-gram is part of a longer sentence, “from” is a possibility. And there are many others. So word2vec will group those words together in its vector space, because they all fit nicely in this context, and in many others. But look again at that sentence — it’s a sequence of words with a hole in it. So if in this model, a word’s meaning is defined by the n-grams in which it may be embedded, then the type of a word’s meaning is a list-with-a-hole — just like the derivative of the list type that we were looking at above. The basic idea of word2vec isn’t extremely surprising; from a certain perspective, this is an elaboration of the concept of a “minimal pair” in linguistics. If you know that “bat” means a thing you hit a ball with, and “mat” means a thing you wipe your feet on, then you can tell that /b/ and /m/ are different phonemes, even though they both involve putting your lips together: the difference between their sounds makes a difference in meaning. Conversely, if the difference between two sounds doesn’t make a difference in meaning, then the sounds must represent the same phoneme. “Photograph” pronounced with a distinct “oh” sound in the second syllable is the same word as “photograph” pronounced with an “uh” sound in the second syllable. They’re different sounds, but they both make the same word here, so they represent the same phoneme. The thinking behind word2vec resembles the second case. If you can put one word in place of another in many different contexts and get similar meanings, then the two words must be relatively close together in meaning themselves. What is surprising is that by pairing these two concepts, we can link the idea of derivatives in calculus to the idea of meaning. We might even be able to develop a model of meaning in which the meaning of a sentence has the same type as the derivative of that sentence’s type. Or — echoing the language of the paper I began with — the meaning type of a sentence type is its type of one-hole contexts. Topic modeling has been attracting the attention of scholars in the digital humanities for several years now, and quite a few substantive introductions to the subject have been written. Ben Schmidt offered a brief overview of the genre in 2012, and the list he provided is still fairly comprehensive, as far as I can tell.1 My current favorite is an entry from Miriam Posner and Andy Wallace that emphasizes the practical side of topic modeling — it’s great for bootstrapping if you’re new to the subject. This post will cover something slightly different. When I started to delve into the details of topic modeling, I quickly realized that I needed to create my own implementation of Latent Dirichlet Allocation (LDA) to begin understanding how it worked. I eventually did, but even with all the terrific resources available, I ran into several significant roadblocks.2 The biggest one for me was figuring out Gibbs sampling. A lot of introductions to topic modeling don’t spend much time on Gibbs sampling, for understandable reasons. It’s not part of LDA properly speaking, so you don’t need to understand how it works to understand the fundamentals of LDA. In fact, in his original description of LDA, David Blei didn’t even talk about Gibbs sampling — he used a thing called “variational inference,” which is a wall of abstraction that I still haven’t managed to scale. Fortunately, Gibbs sampling yielded to my efforts more readily. And although it’s not strictly necessary to understand Gibbs sampling to understand LDA, I think it’s worth understanding for other reasons. In fact, I’ve come to believe that Gibbs sampling is a wonderful introduction to the rapidly evolving world of machine learning — a world that I think at least a subset of digital humanists should have much broader knowledge of. Here’s my attempt at a definition: Gibbs sampling is a way to build a picture of a global probability distribution when you only have local information about that distribution. That’s more of a description than a definition; other techniques do that too. But I like it because it shows what Gibbs sampling is good at. You can use it to take lots of little bits of information — like individual word counts — and construct a global view of those bits. What a Markov chain knows at first (top). What it knows after a long time (bottom). The probability is that your next dot will be an orange dot there. The probability is that your next dot will be a blue dot over there. This list goes on until every possible location on the canvas and every possible color has a probability associated with it. It turns out they all add up to one. (They’re probabilities, after all!) Then Sam gives you another list that starts with another location and possible color. You get lists from every possible point and color on the canvas, to every possible point and color on the canvas. Now, at any moment while painting, you can look up the dot you’ve just painted in the table. You can then use that dot’s transition probabilities to decide how to paint the next one. So you just start painting dots. And lo and behold, after a really long time, you’re looking at a picture of La Grande Jatte. What I’ve just described is called a Markov chain.3 Gibbs sampling adds just one more little twist. But before I get to that, I want to explain why this is possible. Sam’s table of probabilities has to meet three conditions for this to work. The first two dictate the kinds of movements between points and colors that the table of probabilities must allow. First, the table of probabilities must allow you to get from any point and color in the painting to any other. It doesn’t have to allow you to get from one to the other in a single step, but it has to allow you to get there eventually. And second, the table of probabilities must allow you to get from one point and color to another at irregular intervals. So if it aways takes you two, or four, or eight steps to get from node A to node B, and never any other number of steps, then the table doesn’t satisfy this condition, because the number of steps required to get from A to B is always a multiple of two. Together, these conditions tell us that the Markov chain has what’s called a stationary distribution.4 It’s a probability distribution over every point and possible color on the canvas. It tells you how often you will paint a particular dot, on average, if you keep painting forever. If Sam’s table meets these first two conditions, then we can prove that it has a stationary distribution, and we can even prove that its stationary distribution is unique. At that point, it only has to meet one more condition: its stationary distribution must be a painting of La Grande Jatte. What’s neat about this is that none of the individual transition probabilities know much about the painting. It’s only when they get together and “talk” to one another for a while that they start to realize what’s actually going on.5 That’s what Gibbs sampling allows. The difficult part of using Markov chains this way is figuring out the transition probabilities. 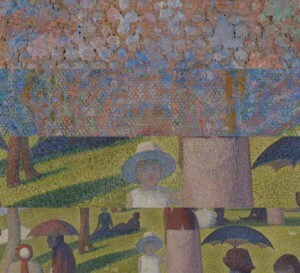 How many coordinates and color codes would you need to create an adequate representation of a Seurat painting? I’m not sure, but I bet it’s a number with a lot of zeros at the end. Call it . And to create the full transition table, you’d have to calculate and store probabilities from each of those values to each of those values. That’s a big square table with rows and columns. These numbers get mind-bogglingly huge for even relatively simple problems. Gibbs sampling uses a clever trick to get around that issue. It’s based on the simple insight that you don’t have to change every dimension at once. Instead of jumping directly from one point and color to another — from to — you can move along one dimension at a time, jumping from to to to , and so on. It turns out that calculating probabilities for those transitions is often much easier and faster — and the stationary distribution stays the same. See this crazy incomprehensible rat’s nest? It’s the skeleton of a topic hypercube for a corpus just ten words long. I began this post with a promise that you’d get something valuable out of this explanation of Gibbs sampling, even though it isn’t part of the core of LDA. I’m going to offer three brief payoffs now, which I hope to expand in later posts. First, most implementations of LDA use Gibbs sampling, and at least some of the difficulties that LDA appears to have — including some identified by Ben Schmidt — are probably more related to issues with Gibbs sampling than with LDA. Think back to the requirement that to have a stationary distribution, a Markov chain has to be able to reach every possible state from every other possible state. That’s strictly true in LDA, because the LDA model assumes that every word has a nonzero probability of appearing in every topic, and every topic has a nonzero probability of appearing in every document. But in some cases, those probabilities are extremely small. This is particularly true for word distributions in topics, which tend to be very sparse. That suggests that although the Markov chain has a stationary distribution, it may be hard to approximate quickly, because it will take a very long time for the chain to move from one set of states to another. For all we know, it could take only hours to reach a result that looks plausible, but years to reach a result that’s close to the actual stationary distribution. Returning to the Grand Jatte example, this would be a bit like getting a really clear picture of the trees in the upper-right-hand corner of the canvas and concluding that the rest must be a picture of a forest. The oddly conjoined and split topics that Schmidt and others have identified in their models seem a little less mysterious once you understand the quirks of Gibbs sampling. Third, I think Gibbs sampling is — or should be — theoretically interesting for humanists of all stripes. The theoretical vistas opened up by LDA are fairly narrow because there’s something a little bit single-purpose about it. Although it’s remarkably flexible in some ways, it makes strong assumptions about the structure of the data that it analyzes. Those assumptions limit its possible uses as a model for more speculative thinking. Gibbs sampling makes fewer such assumptions; or to be more precise, it accommodates a wider range of possible assumptions. MALLET is a tool for pounding, and it does a great job at it. But Gibbs sampling is more like the handle of a bit-driver. It’s only half-complete — assembly is required to get it to do something interesting — but it’s the foundation of a million different possible tools. It’s the kind of tool a bricoleur ought to own. For another way of thinking about the possibilities of Gibbs sampling and other so-called Monte Carlo Markov chain (MCMC) methods, see the wonderful sub-subroutine post on using MCMC to learn about bread prices during the napoleonic wars. Ben Schmidt’s terrific insight into the assumptions that the Fourier transform imposes on sentiment data has been sinking in, and I have a left-field suggestion for anyone who cares to check it out. I plan to investigate it myself when I have the time, but I’ve decided to broadcast it now. 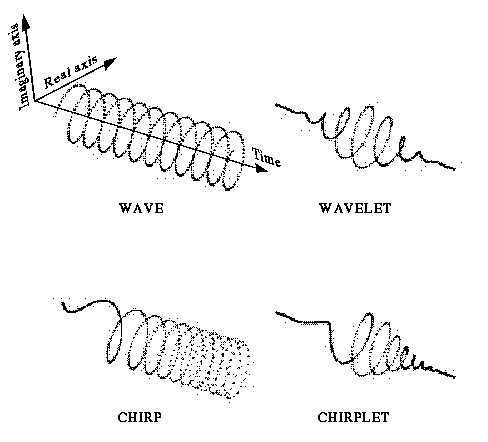 In the imaginary universe of Fourier land, all texts start and end at the same sentiment amplitude. This is clearly incorrect, as I see it.1 But what could we say about the beginning and end of texts that might hold up? One possibility is that all texts might start and end with a flat sentiment curve. That is, at the very beginning and end of a text, we can assume that the valence of words won’t shift dramatically. That’s not clearly incorrect. I think it’s even plausible. What’s a Sine Wave of Sentiment? Over the last month a fascinating series of debates has unfolded over Matt Jockers’ Syuzhet package. The debates have focused on whether Syuzhet’s smoothing strategy, which involves using a Fourier transform and low-pass filter, is appropriate. Annie Swafford has produced several compelling arguments that this strategy doesn’t work. And Ted Underwood has responded with what is probably the most accurate assessment of our current state of knowledge: we don’t know enough yet to say anything at all. I broadly agree with Annie Swafford’s assessment: it looks to me like this strategy is producing unwanted ringing artifacts.2 But Matt Jockers’ counterargument troubles her line of reasoning — he suggests that ringing artifacts are what we want. That doesn’t sound right to me, but that argumentative move shows what’s really at stake here. The question is not whether ringing artifacts distort the data relative to some ground truth. There’s no doubt about that — this is, after all, a way of distorting rough data to make it smooth. The question is whether we want this particular kind of distortion. My issue with using Fourier transforms to represent sentiment time series data is that we have no clear theoretical justification to do so. We have no theoretical reason to want the kind of distortion it produces. If we hope to use data mining tools to produce evidence, we need to think about ways to model data that are suited to our own fields. This is a point Ted Underwood made early on in the conversation about LDA, well before much had been published by literary scholars on the subject. The point he made is as important now as then: we should do our best to ensure that the mathematical models we use have clear and concrete interpretations in terms of the physical processes that we study and seek to understand: reading, writing, textual distribution, influence, and so on. This is what Syuzhet fails to do at the smoothing and filtering stage right now. I think the overall program of Syuzhet is a promising one (though there may be other important aspects of the thing-that-is-not-fabula that it ignores). But I think the choice of Fourier analysis for smoothing is not a good choice — not yet. 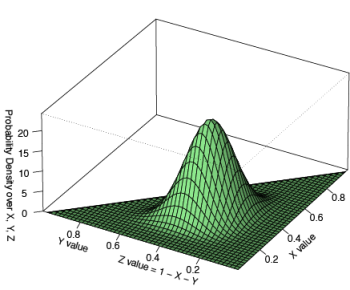 But the support of the function produced by a Fourier transform is the frequency domain of a sinusoidal curve. Is that the right support for this purpose? Setting aside the fact that we’re no longer talking about a probability distribution, I think it’s still important to ask that question. If we could have confidence that it makes sense to represent a sentiment time series as a sum of sinusoidal curves, then we might be able to get somewhere with this approach. The support would be correct, even if the shape of the curve over the frequency domain weren’t quite right. But why should we accept that? 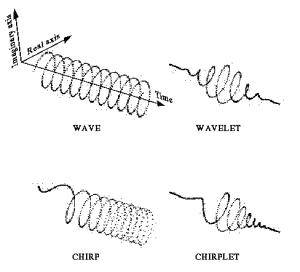 Why shouldn’t we be looking at functions over domains of wavelets or chirplets or any number of other possibilities? 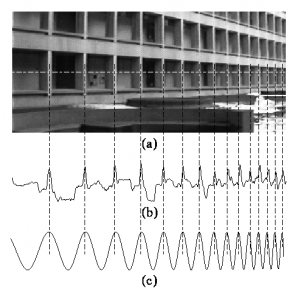 Why should the sentimental valence of the words in a novel be best represented by sine waves in particular? I think this is a bit like using a Gaussian mixture model (GMM) to do topic modeling. You can use Gaussian distributions as priors for topic models. It might even be a good idea to do so, because it could allow us to get good results faster. But it’s not going to help us understand how topic modeling works in the first place. The Gaussian prior obscures what’s really going on under the hood.5 Even if we all moved over to Gaussian priors in our topic models, we’d probably still use classic LDA to get a handle on the algorithm. In this case, I think the GMM is best understood as a way to approximate LDA. And now, notice that we can use a Fourier transform to approximate any function at all. But what does doing so tell us about the function? Does it tell us what we want to know? I have no idea in this case, and I don’t think anyone else does either. It’s anyone’s guess whether the sine waves that this transform uses will correspond to anything at all familiar to us. I think this is a crucial issue, and it’s one we can frame in terms of disciplinary continuity. Whenever we do any kind of informal reasoning based on word counts alone, we’re essentially thinking in terms of categorical distributions. And I think literary scholars would have paid attention to a well-reasoned argument based on word counts thirty years ago. If that’s right, then LDA simply gives us a way to accelerate modes of reasoning about language that we already understand. But if thirty years ago someone had argued that the movement of sentiment in a novel should be understood through sinusoidal shapes, I don’t think they would have been taken very seriously. Admittedly, I have no strong justification for this claim, and if there’s widespread disagreement about it, then this debate will probably continue for some time. But either way, we need to start thinking very concretely about what it means to represent sentiment specifically as a sine wave. We will then be able to trust our intuitions about our own field of study to guide us. There’s a way of telling a history of the digital humanities that does not follow the well known trajectory from Father Busa’s Index Thomisticus, Mosteller and Wallace’s study of the Federalist Papers, and the Text Encoding Initiative — to Distant Reading, data mining, and the present day. It does not describe the slow transformation of a once-peripheral field into an increasingly mainstream one. Instead, it describes a series of missed opportunities. It’s a polemical history that inverts many unspoken assumptions about the relationship between the humanities and the sciences. I’m not sure I entirely believe it myself. But I think it’s worth telling. The Navy revealed the embryo of an electronic computer today that it expects will be able to walk, talk, see, write, reproduce itself and be conscious of its existence. Needless to say, the perceptron never managed to do any of those things. But what it did do was exceptional in its own way. It used to great practical effect the following insight: that many small, inaccurate rules can be combined in simple ways to create a larger, more accurate rule. This insight is now central to statistical learning theory.1 But it was not understood as particularly important at the time. In fact, when people began to realize that the perceptron in its simplest form was limited, a backlash ensued. Marvin Minsky and Seymour Papert wrote a book called Perceptrons that enumerated the limits of simple two-layer perceptrons2; people misunderstood the book’s arguments as applying to all neural networks; and the early promise of perceptrons was forgotten. This turn of events may have delayed the emergence of interesting machine learning technologies by a couple of decades. After the perceptron backlash, artificial intelligence researchers focused on using logic to model thought — creating ever more complex sets of logical rules that could be combined to generate new rules within a unified and coherent system of concepts. This approach was closely related to the kinds of transformational grammars that Noam Chomsky has been exploring since the 1950s, and it largely displaced statistical approaches — with a few exceptions — until the 1990s. Search engines: 100% of major players are trained and probabilistic. Their operation cannot be described by a simple function. Clearly, it is inaccurate to say that statistical models (and probabilistic models) have achieved limited success; rather they have achieved a dominant (although not exclusive) position. I’d like to suggest that by embracing that kind of knowledge, computer scientists have started walking down a trail that humanists were blazing fifty years ago. The kind of knowledge that these machines have does not take the form of a rich, highly structured network of immutable concepts and relations with precise and predictable definitions. It takes the form of a loose assembly of inconsistent and mutually incompatible half-truths, always open to revision and transformation, and definable only by the particular distinctions it can make or elide at any given moment. It’s the kind of knowledge that many literary scholars and humanists have found quite interesting for the last few decades. Since the decline of structuralism, humanists have been driven by a conviction that the loosely or multiply structured behaviors that constitute human culture produce important knowledge that cannot be produced in more structured ways. Those humanities scholars who remained interested in structured ways of producing knowledge — like many of the early practitioners of humanities computing — were often excluded from conversations in the humanistic mainstream. Now something has changed. The change has certainly brought computational methods closer to the mainstream of the humanities. But we mustn’t mistake the change by imagining that humanists have somehow adopted a new scientism. A better explanation of this change is that computer scientists, as they have learned to embrace the kinds of knowledge produced by randomness, have reached a belated understanding of the value of — dare I say it? — post-structuralist ways of knowing. It’s a shame it didn’t happen earlier.